FRINFORMSUM 8/15/2013: Answers for Brazil, ‘No Spy’ Pacts with Germany, and a Confusing report from the National Declassification Center. John Kerry’s first visit to Brazil as Secretary of State might be a bumpy one thanks to Edward Snowden’s revelations about the NSA’s surveillance practices. Brazilian Foreign Minister Antonio Patriota said, “[w]e need to stop practices that violate the sovereignty (of nations), relations of trust between states and individual liberties.” For his part, Kerry said that “Brazil is owed answers and will get them.” It’s worth noting that Brazil sits on the steering committee for the Open Government Partnership, the international, multilateral initiative that secures commitments from governments to promote transparency, and a partnership the United States is a founding member of. Like Brazil, Germany is also seeking public guarantees that NSA surveillance will not violate its citizens or government communications. However, unlike Brazil, the announcement of a ‘no spy’ pact between the US and Germany comes on the heels of Der Speigel reports that German intelligence collaborates more with the NSA than previously thought, putting the Merkel government on the defensive for upcoming parliamentary elections. While the US seems willing to help out the Merkel government, it looks less willing to ease relations with Russia. President Obama recently cancelled a summit meeting with Vladimir Putin after Russia granted Snowden temporarily asylum in the country, though Press Secretary Jay Carney said that the cancellation reflects increasing tensions over a myriad of issues. President Obama issued a directive this week to review the United States’ global SIGINT and communications technologies after growing backlash against the NSA’s practices. A review group will be formed to determine whether or not the US’ surveillance efforts “optimally protects our national security and advances our foreign policy while appropriately accounting for other policy considerations, such as the risk of unauthorized disclosure and our need to maintain the public trust.” The group’s final report is due by December 15, 2013. 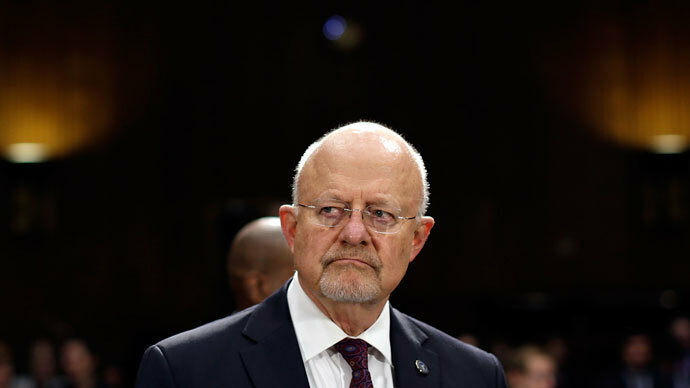 The White House has assured that James Clapper, the director of national intelligence who admitted to lying to Congress over the NSA surveillance programs, will not be leading the review group or picking its members. The Government Accountability Office has accepted a request to investigate the current classifications system in the wake of the latest leaks. The request came from Rep. Duncan Hunter in a letter stating his concern that over-classification and “unnecessary secrecy may put legitimate secrets at risk.” His letter requested that the GAO examine “the degree to which material is classified in excess of current security procedures,” and “[w]hether narrowing classification requirements would reduce the need for nearly 5 million individuals to hold security clearances, and whether reducing that number would limit security disclosures.” Perhaps the NSA saw the writing on the wall, as it has just fired nearly all of the agency’s 1,000 systems administrators, about 90% of the agency’s total administrator, most of whom were contractors. Finally this week, the National Declassification Center (NDC) has released its latest bi-annual report. President Obama created the NDC on December 29, 2009, and tasked it to review the nearly 400 million page backlog of historic documents at the National Archives (NARA) for declassification by the end of this year. How is the NDC doing with the December 31 deadline fast approaching? Despite the optimistic yet ambiguous language in the report, the NDC is failing at its presidentially mandated task. The report, as is common among NDC’s bi-annuals, talks at length about “assessing” records and uses a lot of verbiage to explain what stage of the review process the documents are in, and in turn counts these incremental steps as successes. To be very clear, the NDC’s mandate is to declassify records, not to review records for yet further review. Reading the report with a fine-toothed comb reveals that just 71.5 million pages of the total backlog (20 percent) have been released to the public. The remaining 80% of documents have been either reviewed and denied declassification –sometimes denied in full for containing as little as one classified word– or remain unreviewed entirely. It’s hard to imagine how the NDC, or anyone watching closely, could count this as a success story. However, it is clear the “greatest challenge” to declassifying the remaining pages is a process known as the Kyl-Lott review, requiring torturous reviews and re-reviews that prevent the documents from reaching the public – in direct opposition to President Obama’s directive. The rest of the NDC bi-annual reports can be found here.